Waterbottles are like mixtapes: sooner or later, your little sister “borrows” one and never brings it back. 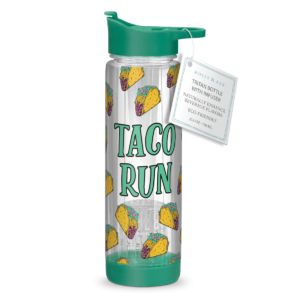 Replenish in style with this snazzy water bottle, which can be infused with fruits, vegetables or another flavor of your choice. We’ll raise a cassette to that.